The Education and Research Studio at Pacific Pearl La Jolla is our vibrant educational heart, offering local, national and global events. 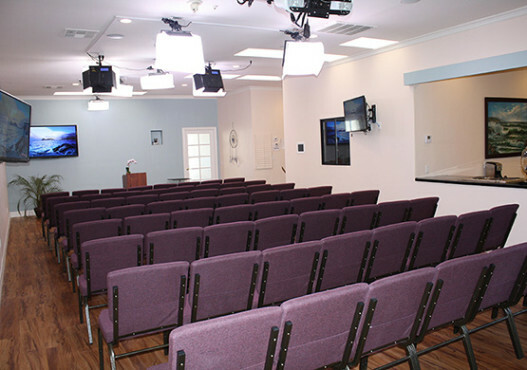 It is a versatile, fully-equipped learning center and TV studio in La Jolla, California, suitable for presenting and recording lectures, classes, webinars and other productions. Leading researchers, scientists, physicians, and luminaries in a wide range of fields come to the education and learning center for summits, retreats, interviews, meetings and special events. The Studio and learning center are at the heart of our mission to educate, heal people and change lives through advanced medicine and science and the wisdom of all global healing traditions. The professional studio features a room that can seat up to 80 with portable chairs. It has three SONY PTZ cameras in the main space, including an audience reaction camera and an additional overhead camera for the kitchen cooktop. There is also a tripod for the Black Magic video camera for more intimate interviews. 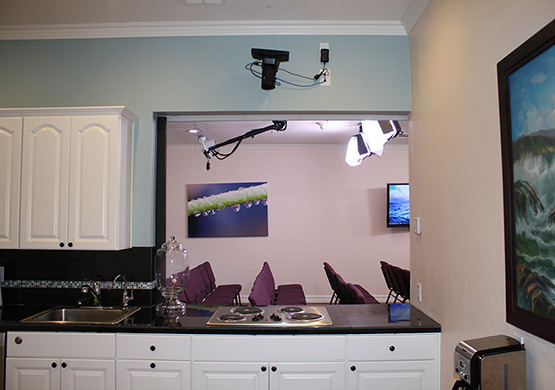 The adjacent kitchen can be opened for audience viewing access, and rotating cameras in the studio can shoot through the cut-away wall to capture the chef or nutritionist preparing dishes. Video and PowerPoint presentations can be shown on three screens, and a green screen is available for special effects. The flooring is sound-absorbing wood-look cork, and the attractive natural lighting can be controlled for darkness with light-blocking shades. The control room operates all cameras and screens; however a presenter can control a video or PowerPoint with a remote control clicker from a laptop or through a thumb drive provided to the control room. 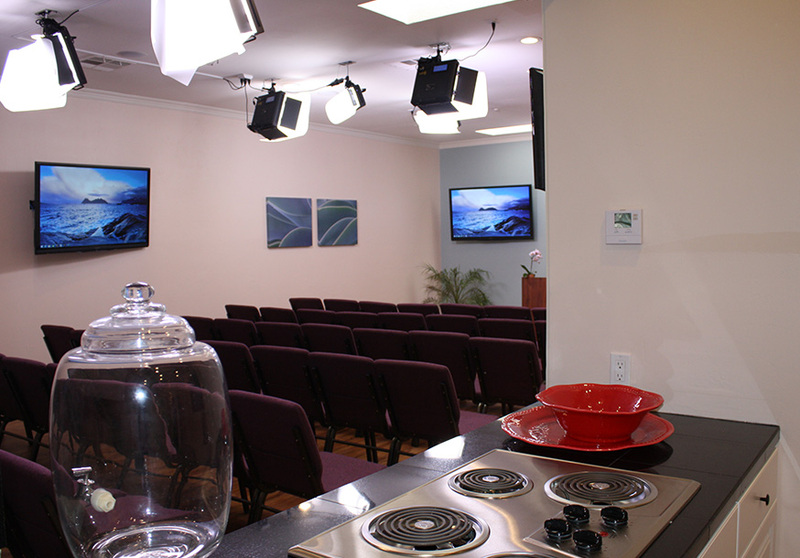 The Studio is available for video production or as a rental without use of AV equipment for those seeking an intimate conference or meeting space. Please contact Rauni Prittinen King for additional information about The Studio at Pacific Pearl La Jolla: 858-459-6919. Holistic and Integrative Medicine Resources, Inc. (HIMR), an S Corporation created in 2002, is focused on integrative medicine education and research, and providing support for the Wellness Shop and the education and learning studio, among others at Pacific Pearl La Jolla. Mimi Guarneri, MD, FACC and Rauni Prittinen King, RN provide education and consultation services to healthcare systems and private practices. 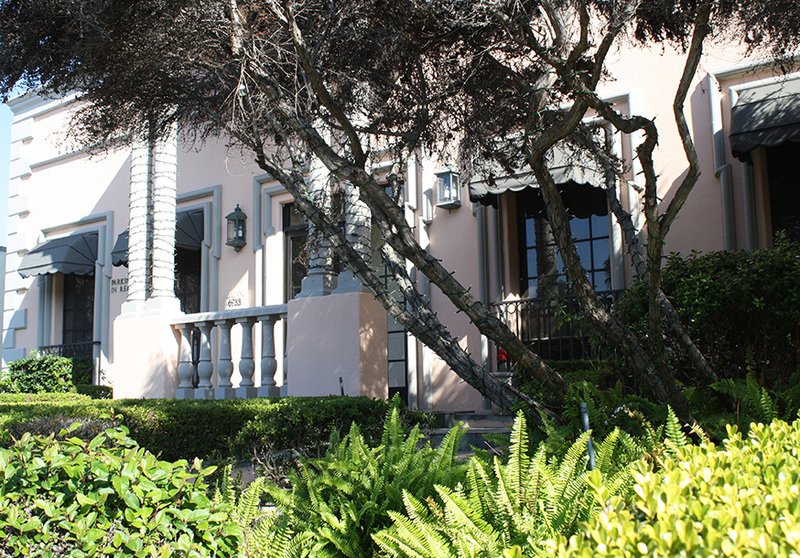 Guarneri Integrative Health, Inc. is the clinical practice at Pacific Pearl La Jolla. 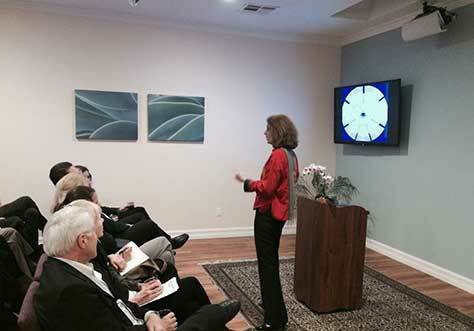 Mimi Guarneri MD, FACC is Medical Director and Founder. Miraglo Foundation, founded in 2011 by Rauni Prittinen King, RN and Mimi Guarneri, MD, FACC, is a a 501(c)3 public charity with the vision: Healing people and transforming communities through education, health and research. Projects are local, national and international. See more at the Miraglo Foundation website. CHI exists to evolve the scientific understanding and real-world application of consciousness and healing practices, so that individuals and societies are empowered with the knowledge and tools to ignite their healing potential and thus lead more healthy, fulfilling lives. CHI website. The AIHM is an interprofessional association of integrative clinicians who embrace a person-centered, team-based approach to health care. They provide transformational educational programs, connections to a global network of providers, and valuable resources and tool kits for members. Link here for program details and contact information.